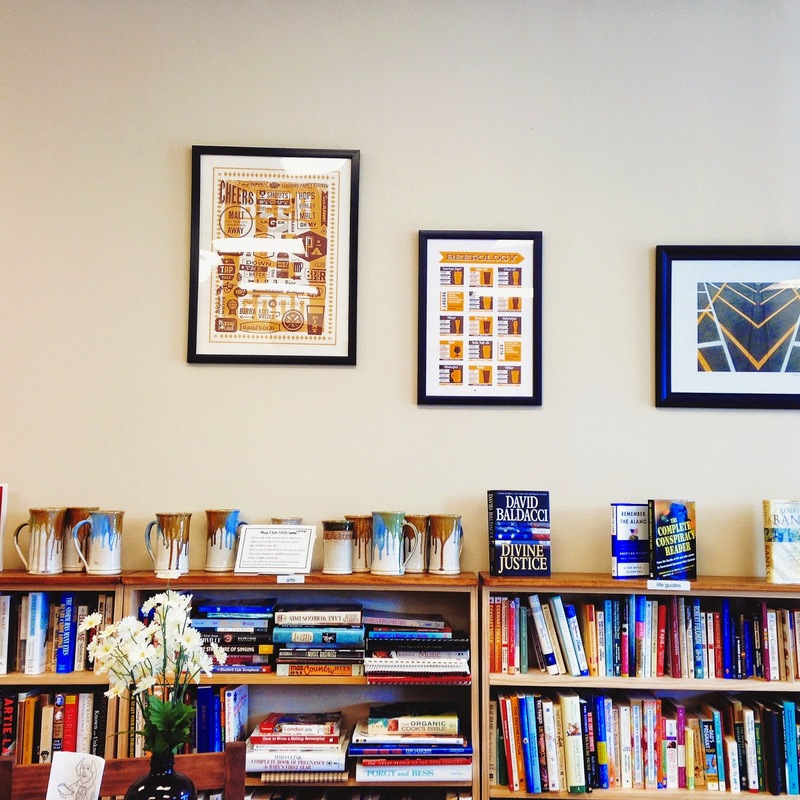 On Saturday, we went to Books & Brews, a combined brewery-used bookstore located on the northeast side. It opened only a few months ago, and is owned and operated by former English majors. These English majors--who married each other, by the way--envisioned owning a bookstore. According to the Books & Brews website, the husband "slid a brewery into the business plan when [his wife] wasn't looking." We spent a fair amount of time in the back half, though, in the brewery. The decor was simple, but each drink and each grilled sandwich features a name with some sort of literary allusion. So, in theory, you could drink a Worst of Times Black IPA while eating an Edgar Allan Po'Boy. Or, like me, you could nurse a Man in the Yellow Hefeweizen and order a Hamlet (ham & cheese). While the three of us (Ty, me, and a mutual friend) ate, we talked about the business's strange location. "It took us a few minutes to figure it out," I said. "Yeah, I didn't expect this place to be in an industrial complex," Ty added, licking his fingers of delicious sandwich grease. "Yeah, it's a bit odd," our friend said. "I actually came here for lunch one day. A Wednesday, I think? Anyway, I was the only one here." We sort of laughed. "Yeah, I don't expect them to get a lot of foot traffic here," Ty said. "Also, I'm disappointed that there aren't any shoes here." My friend and I looked at each other, eyebrows raised. There's a pun coming, I thought. Ty nodded toward the business's motto, Read. Drink. Converse. "Read. Okay, okay, there's books, I get it. I get it. Drinks. Okay there's beer. Got it." He feigned confusion and threw his hands in the air. "But Converse? Yeah, I didn't see any sneakers here." Nathan smiled, I rolled my eyes, and Ty chuckled. "Amusing yourself again, are you?" I asked, throwing a potato chip into my mouth. As we placed our purchases in the back seat of the car, Ty spoke. "Well, that was probably the best meal I've ever had at a bookstore that abuts a Home Depot." I purchased The Historian (which I have read before), Counting by 7s, and Midnight in the Garden of Good and Evil. Have you ever read any of these? 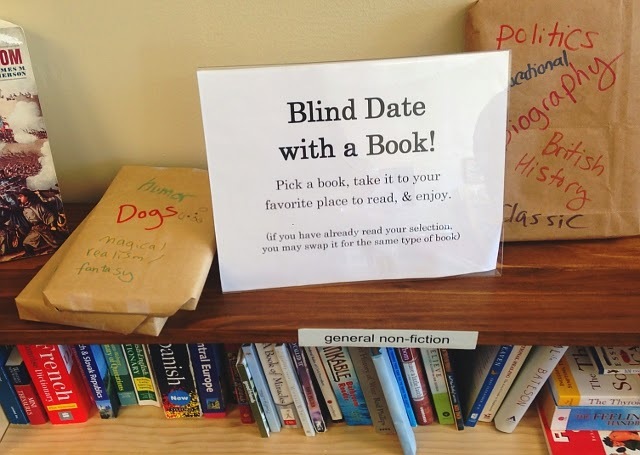 Do you have a favorite used bookstore? If you owned a bookstore, what would you name it? Oh man this is awesome! The literary sandwiches reminds me of the Bourgeois Pig Cafe in Chicago, they have an epic Hobbit sandwich!! I've been wanting to read Midnight in the Garden of Good and Evil, but it wasn't in the library last I checked! I'm currently making my way through "Never Let Me Go" and a couple Murakami books. That is my favorite thing about summer I think! The fact that I can read so much! That sounds absolutely marvelous, and sort of magical. This is the first bookstore-brewery-eatery combo that I've ever been to, but I wish they were a bit more common! The only other similar thing around here is a restaurant that is located in what was once a library. The shelves are all still up, and there are tables nestled between them. It's cozy and comfortable. wow! i wish there's a place like this in where i live. i always feel we have a limited choice of books here. and trust me, i've been to every book store in this city. OH MY GOD I own Midnight in the Garden of Good and Evil...haven't read that sucker yet. Gosh I need more time in everyday. Anywhoo...i've heard nothing but good things about this place. I need to get out there. Maybe on a date night soon since i can't eat out anymore...or at least not for 3 months.